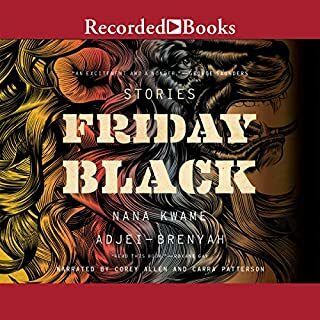 Adjei-Brenyah is a brilliant story teller whose prose is as intrepidly creative as it is utterly unpretentious. The stories in this collection present us with characters who inhabit profoundly real dystopian worlds. These are worlds where the oppressed lose all fear in their quest for a justice indistinguishable from vengeance; where aborted fetuses speak to their grieving parents; where murderous anti-black vigilantism becomes a booming theme park industry paying enterprising people of color better than other jobs; where retail becomes the new plantation; and where human beings become radioactive projections of their former selves as they simply and rawly exist in the bittersweet hell of an endless apocalyptic loop. By taking us into these varied yet closely related and even overlapping worlds of his fertile imagination, Adjei-Brenyah invites us not only to be seriously entertained, as we experience any number of wide-ranging and conflicting emotions. He also invites us to think deeply about the kind of world we inhabit and whether, when viewed in the mirrors of these worlds and their heroes and heroines, we like what we see. From "One Who Thinks Himself White"
Coates has written an epistolary masterpiece. His is a brilliant and beautiful black voice, eloquently crying out from the noble "bottom" of our society and unmasking the pernicious "dream" that is "whiteness." 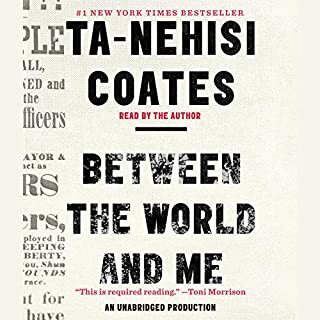 If you want to drink deeply from a well of poetic insight into the realities of race in the United States, dare--if you will--to dip your cup into this book. As a thoroughly bleached and shame-filled "dreamer" myself, who may never be able to save himself or his fellow "dreamers," I can only bow before Mr. Coates's heart, mind, artistry, AND--most importantly--body, and express, silently, my gratitude.